Ten years ago I visited Iceland with a good friend of mine and I always knew it would be somewhere I’d want to return to again. It was one of those unique holidays I found myself reminiscing over for many years to come and I’d often talk to my husband about it and feel sad that he’d never experienced it for himself. So when it came to organising him a birthday present last year the first idea that sprung to mind was a trip to Iceland! 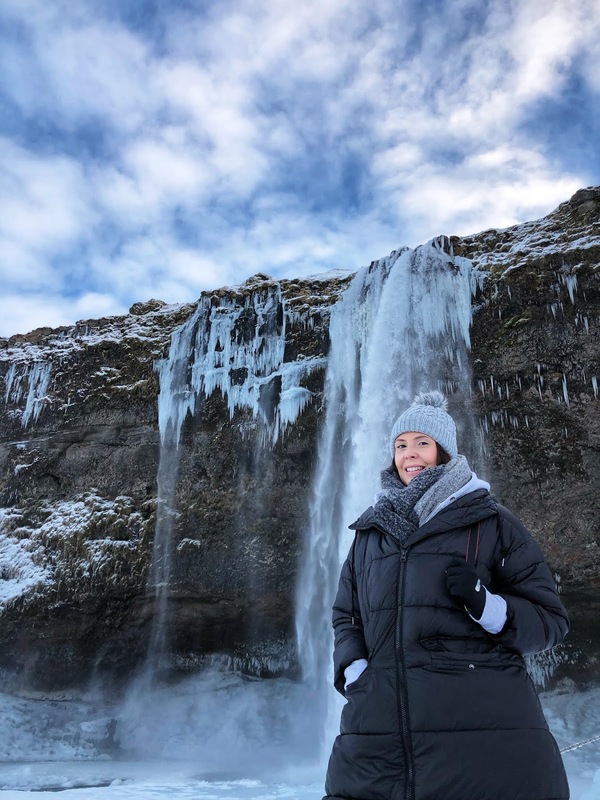 It's quite rare that I will re-visit somewhere more than once as I am always more excited to explore new places but Iceland is one of those really special countries that will keep you coming back time and time again. 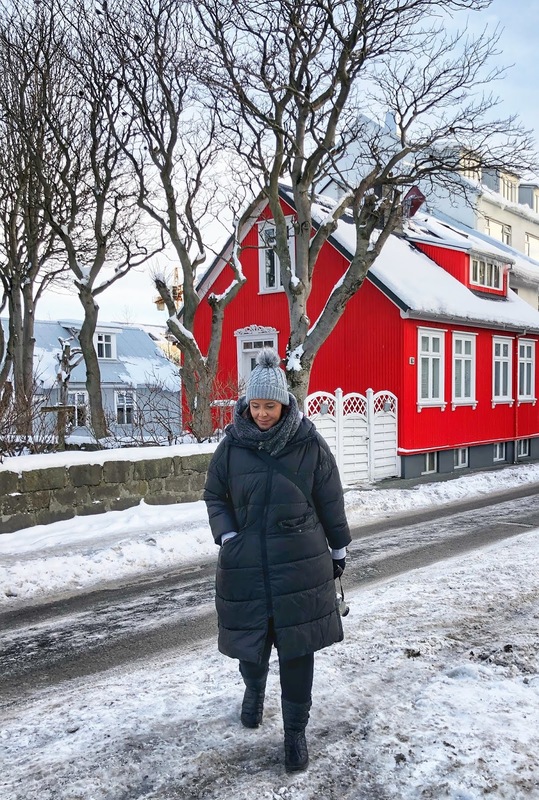 Now, as many of you will already know, we love to visit countries where we have a chance of seeing the Northern Lights and so that pretty much solidified in my mind that we needed to visit Iceland during the Winter. Part of me would have liked to have experienced this country during the Spring / Summer months but the lure of seeing the aurora borealis again was too much to ignore and it always adds another exciting dimension to the holiday. Our base for the trip was the Canopy by Hilton hotel in the centre of Reykjavík. This hotel couldn't really be any more central so it's a really great choice for anyone looking to explore the city easily by foot as it's so close to all of the main sights and restaurants. I was really impressed by the hotel and it's definitely somewhere I would recommend to others. It's modern and stylish, super clean and our room was so incredibly comfortable. It also had a lovely almost Nordic feel to it which is right up my street! 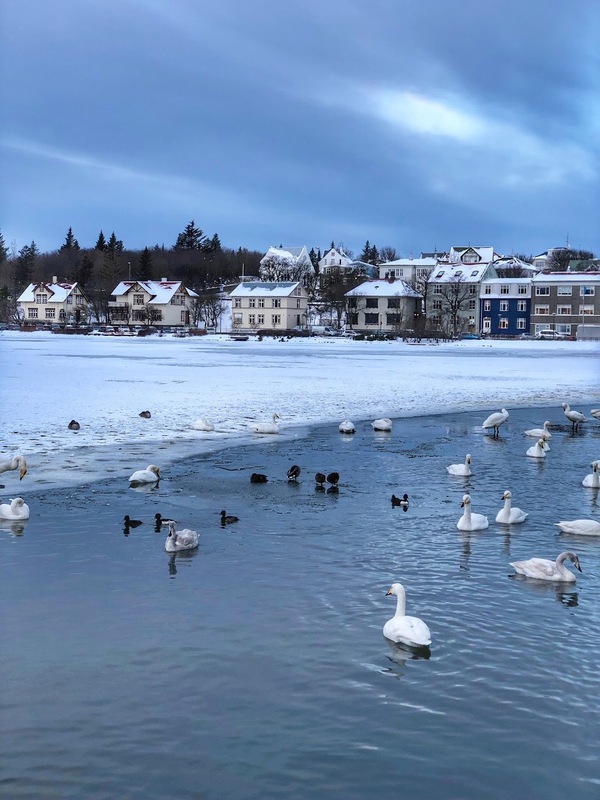 Reykjavik is such a great city for exploring by foot. It's pretty small compared to other cities and really easy to navigate which I personally really like. It doesn't feel as overwhelming as some cities can when you first arrive. 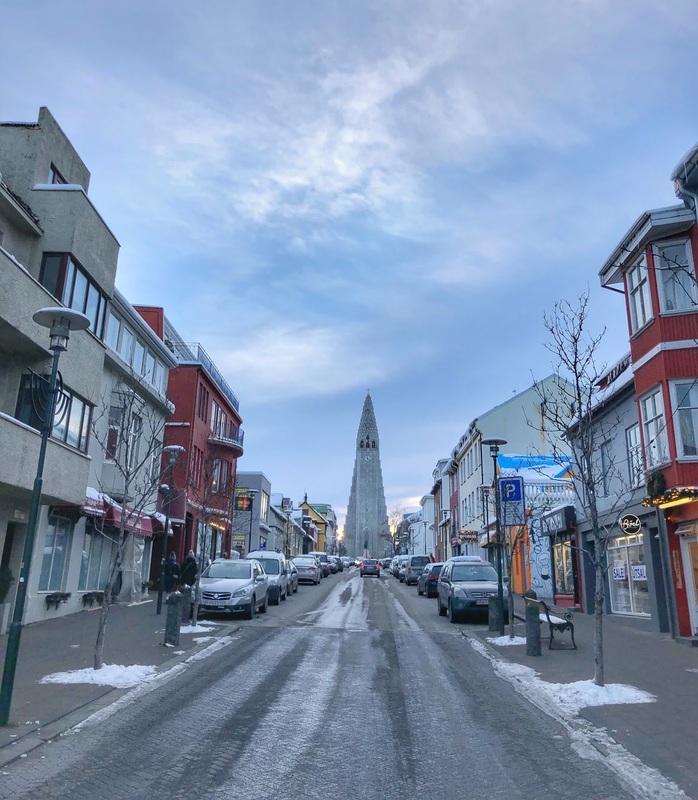 We spent around half a day exploring all of the main sights in the city which included the Sun Voyager sculpture, the main shopping streets and Iceland's largest church Hallgrimskirkja which is well worth a visit to the top of the tower to get the best view over the city. 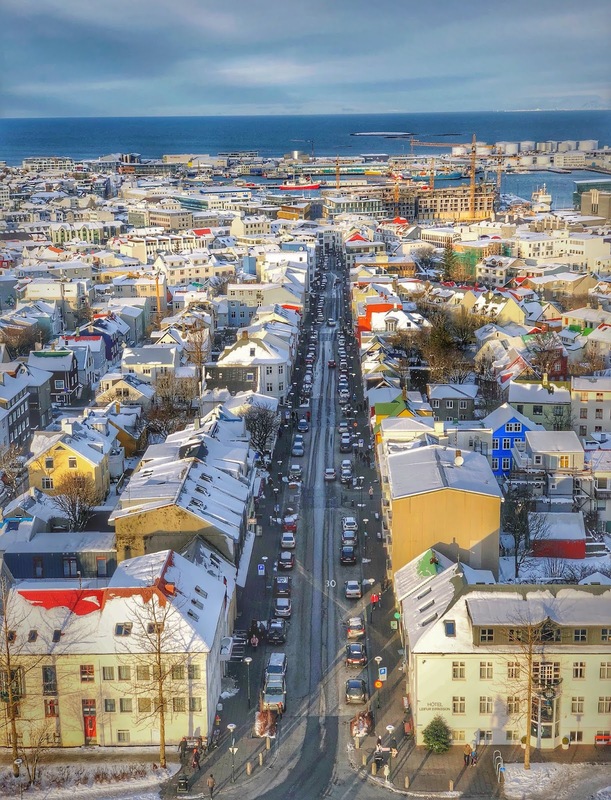 Reykjavik is also a really pretty city which is brought to life by all of the different coloured buildings and houses. When I first visited it ten years ago it just didn't feel real to me and instead like some kind of little toy town! It's quaint and peaceful and perfect for losing yourself in for a few hours. On this trip we really enjoyed just walking around, dipping in and out of different shops and cafes and exploring what was around each corner. Comparing it to when I last visited it definitely seems more geared up for tourists now and there is a lot more choice when it comes to where to eat (more on that later!). 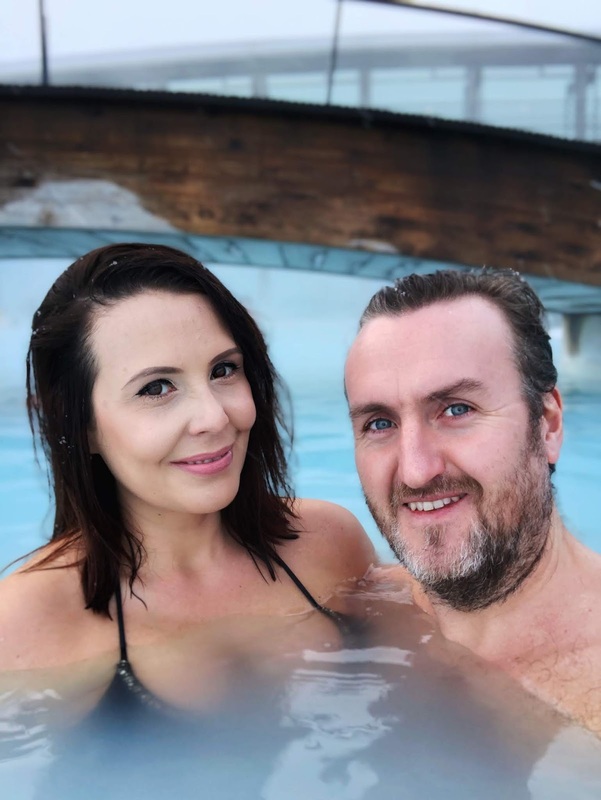 One place I was really excited for Andy to experience was The Blue Lagoon. Yes it’s touristy, yes it’s expensive but YES it’s an absolute must do! I've honestly never been anywhere else quite like it and when you're there it just doesn't feel real. It really is beautiful! The water is so gloriously warm and welcoming which is perfect if you've been out and about exploring in sub zero temperatures. It's completely relaxing and completely unforgettable! 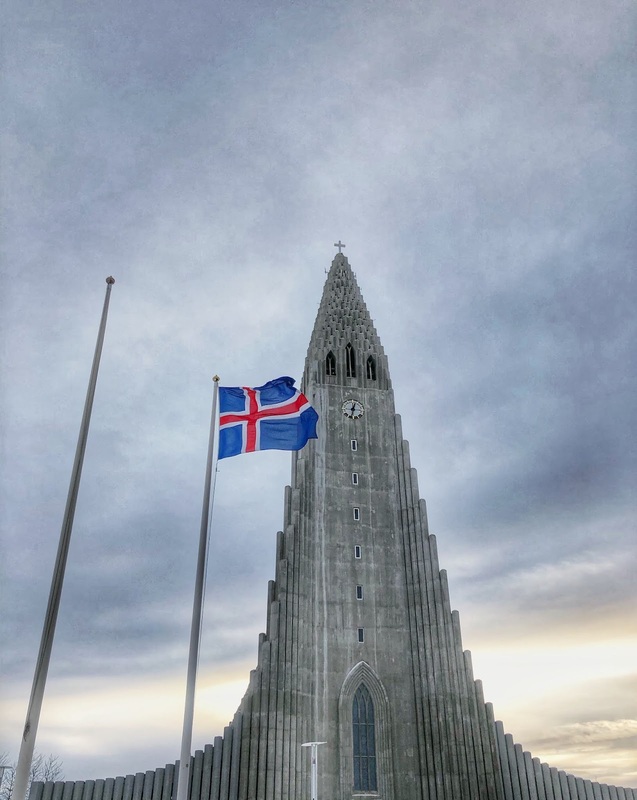 The last time I was in Iceland I booked a Golden Circle tour on a coach with lots of other tourists and this was fine, but on this trip I was really looking forward to driving ourselves at our own pace and experiencing more along the way. 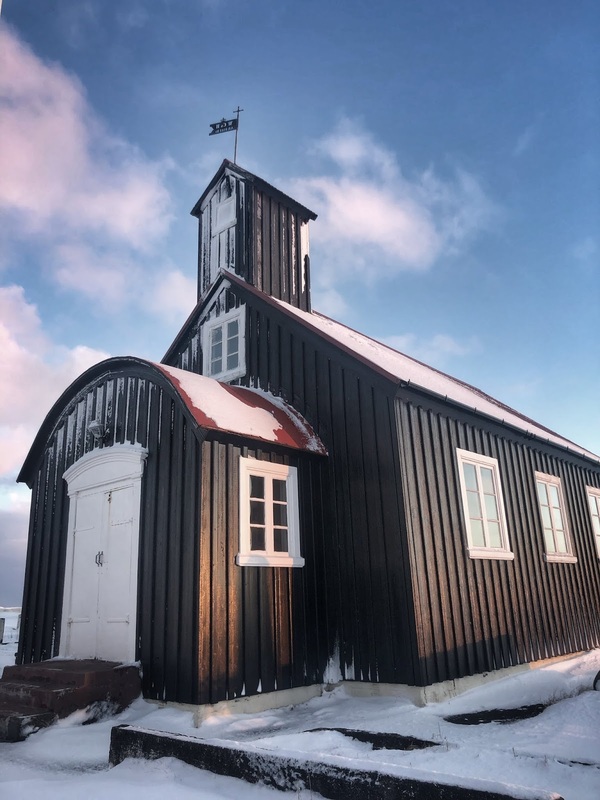 We always hire a car when we go anywhere so this isn't something that we find daunting anymore but I can appreciate that if you've never done it before, particularly in a snowy country like Iceland, it can be a little worrying. 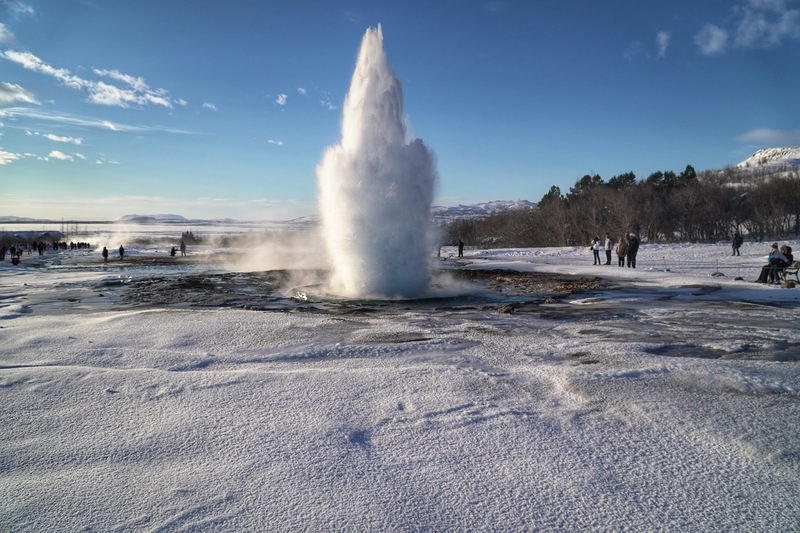 We hired a Jeep Renegade through Geysir and it couldn't have been easier! It was an extra expense but we knew that the money we spent on the rental we would have ultimately spent on organised excursions anyway so if anything I think it probably works out cheaper driving yourself and it gives you so much more freedom. The main stops around the Golden Circle are Thingvellir National Park, Geysir & Gullfoss waterfall. I found a handy little map online which helped us to decide on the key stops we wanted to make on this road trip as aside from the main big three there are some other points of interest along the way too. The Geysir was the biggest highlight for me on this road trip and something I couldn't wait to experience again. There's something so magical about these exploding geysers which bubble away and then surprise you by spouting hot water into the air! The most active one explodes every few minutes and can reach up to 100ft so it's well worth the short wait. It's like no where else I have ever been! 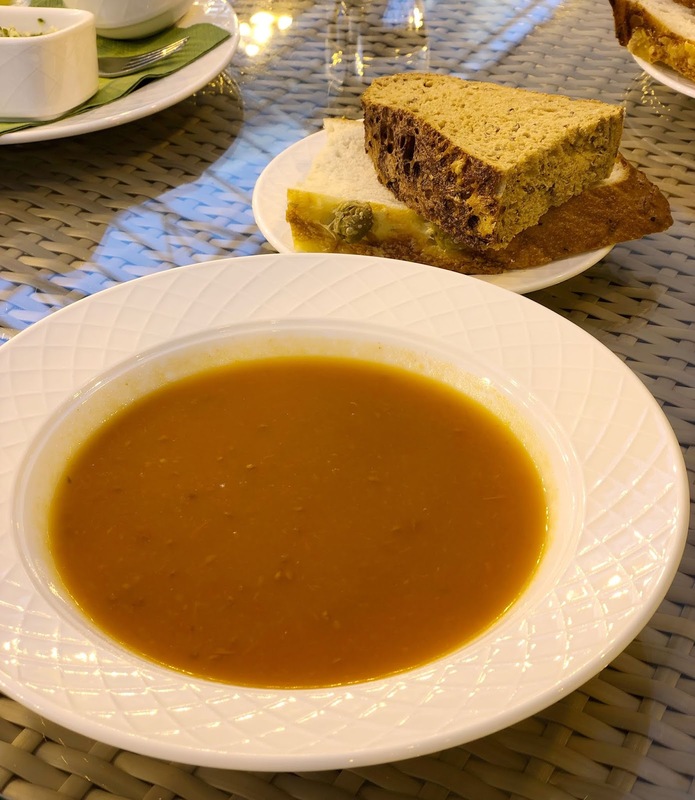 On our way back we decided to make a stop at the Fridheimar tomato farm for a late lunch and by this point we were pretty hungry so we were more than ready to hit up their all you can eat tomato soup and bread buffet! Eating within a greenhouse was a pretty memorable experience and it's a really unique little spot to grab a quick bite to eat on this road trip. 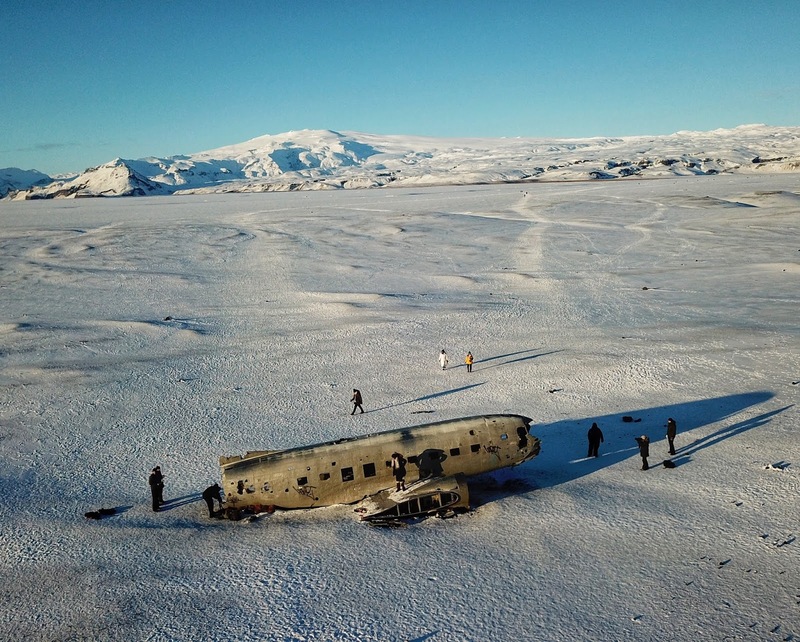 Our final stop on the Golden Circle route was the volcanic Kerid Crater but after sending the drone up and seeing how snowy it looked we didn't feel there was much point in paying to walk up and see this spot in person. This is the only site that has an entrance fee on the whole trip and from what I have seen it's probably only really worthwhile seeing during the Spring / Summer months when the colours and formation is more visible. 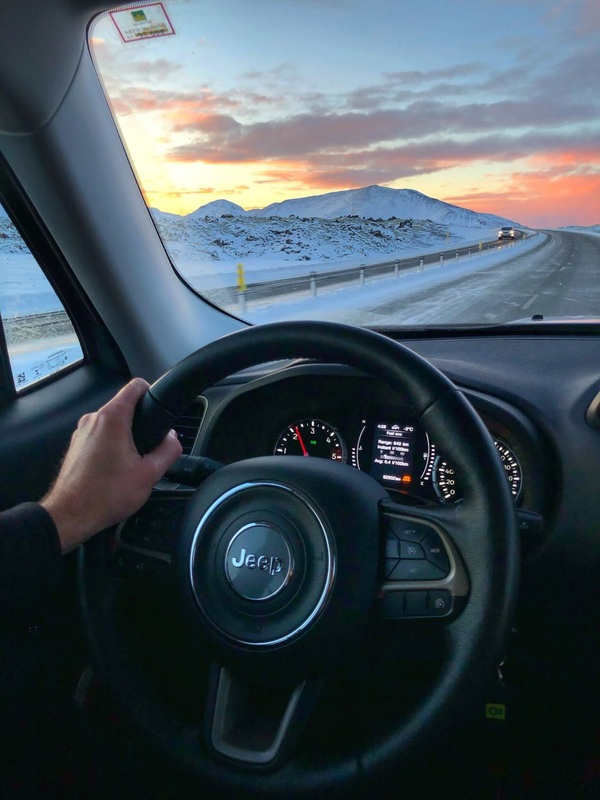 We really loved self driving the Golden Circle and it's something I would definitely recommend doing yourself when in Iceland. It was great that we could take the day at our own pace and pull the car over whenever we saw something we wanted to take a snap of. The roads are pretty much empty aside from a few tour buses and it's important to remember that the cars in Iceland have the correct tyres on for driving in icy conditions so it's absolutely nothing like driving on ice in the UK! We used the sat nav feature on Google maps on our iPhone to help navigate us which worked perfectly as all of the sights are clearly visible on the map. I was a little worried before setting off on this road trip that there wouldn't be any amenities but I was thankfully pleasantly surprised. Both Thingvellir National Park and the Geysir stops have decent facilities, toilets and places to eat at. One thing I didn't do during my last stay in Iceland was to explore the Southern coast so we set aside a day during our stay to explore this area too. I have to say that this road trip felt a little more intense than the Golden Circle as it was more distance and the roads felt a little relentless at times. But if you have the time and a car I think it's well worth doing because there are some spectacular sights along the way. From Reykjavik we drove all the way down to Reynisfja beach which is also known as the black sand beach. It was quite a drive but once we arrived there we felt that it had been worth it as we got to see a completely different side to the country. It was absolutely freezing on the beach the day we visited and really windy so we didn't end up spending a huge amount of time there but the scenery was quite something! From the beach we made our way back exactly the way we had driven down and stopped at a few more sights along the way including both Seljalandsfoss and Skogafoss waterfalls which we both felt were both the best waterfalls we had seen so far and beat the ones we had seen on the Golden Circle tour because they weren't frozen. We were both pretty keen to also check out the Aeroplane wreckage on the South coast but when we realised it was a 40 minute walk to the site from the car park we decided against it as our daylight hours were running out and the weather was so bitterly cold, we just couldn't face it! So instead we once again sent the drone up to do the hard work for us and managed to get a decent snap of it. If you have the time then i'd definitely recommend checking out some of the South coast sights too but if I had to choose I would probably say that the Golden Circle is more worthwhile seeing if you're short on time. We’ve had some experience hunting out the Northern Lights over the past few years and we were really lucky to see them in Norway last year. We definitely felt more knowledgable on this trip and of course came prepared with our tripod and camera (which is a must if you want to get any decent shots!). Another benefit to having a hire car is that you can pop out somewhere and try to see the Northern Lights every night if you want to without needing to book a tour. The tours can certainly be expensive and so having a car just gives you more freedom to do what you want and your terms. 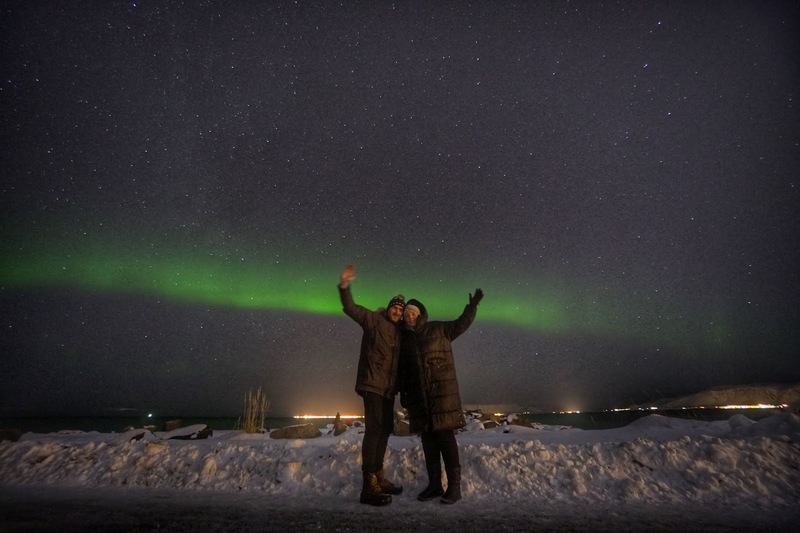 We find this especially beneficial when looking for the Northern Lights and from doing some research online it's generally easy to find out the best locations for viewing them. The best location for seeing the Northern Lights for us ended up ironically being the place closest to Reykavik -Grótta Island Lighthouse. If it’s a clear night you have a pretty good chance of seeing the Northern Lights here and we ended up seeing them there on two separate occasions. It’s not an ideal location due to some light pollution and the fact that it's quite a popular spot due to being so close to the city. This means that a lot of cars tend to pull up there and if they don't turn their headlights off then it can make it harder to see the Northern Lights and potentially ruin your photos. That being said we had great success there! 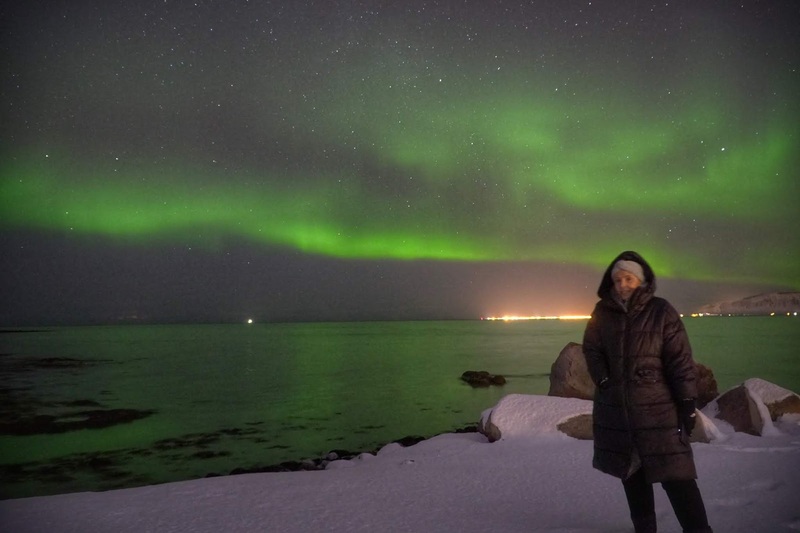 It's quite hard to summarise what seeing the Northern Lights in person is like other than surreal! It doesn't quite look the same to the eye as it does on the camera so it's always exciting to see what the shots turn out like. This was the first time I've ever seen them moving and changing direction which was so amazing. It's an experience I will never forget and if anything it's another reason to visit this incredible country (like you needed anymore!). 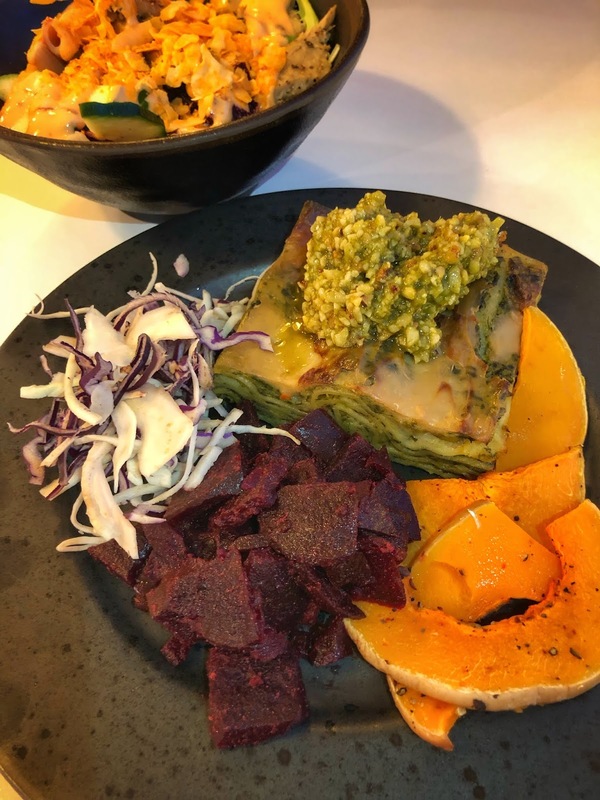 Reykjavík has many good options for both vegans and vegetarians and we really didn’t struggle at all to find decent food during our stay. It certainly seems much more veg friendly since my last visit and it's good to see that eating plant based is becoming more popular in Iceland. As always I’d recommend the Happy Cow app to help you find suitable places to eat on your travels! 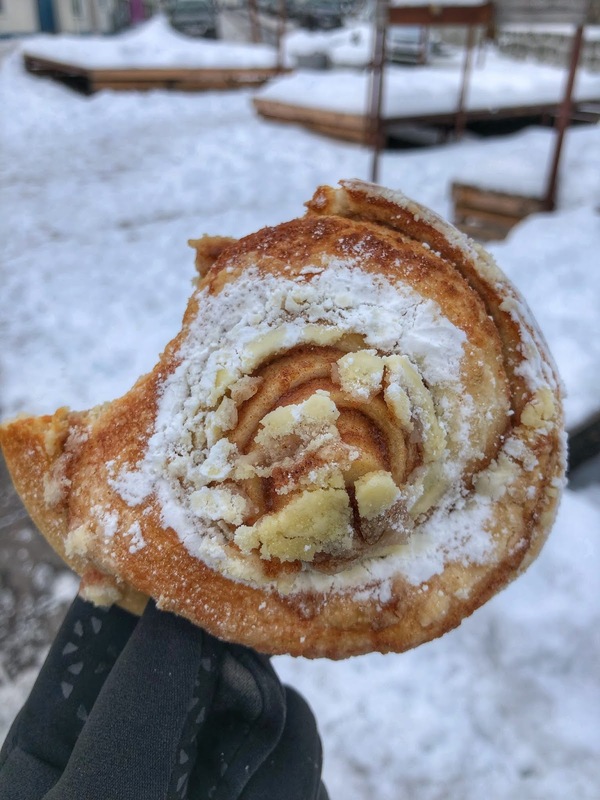 Believe the hype, the cinnamon buns at Braud & Co are unreal! If you can get one fresh out of the oven i'd recommend it as it was like no other I have ever tasted before. I hate to think how many of these we ate during our stay! And yes they had vegan ones too. Glo is a really nice completely vegan cafe in the centre of the city with lots of healthy choices on the menu. It's a really nice spot to just chill out too and their windows overlook the main shopping street. 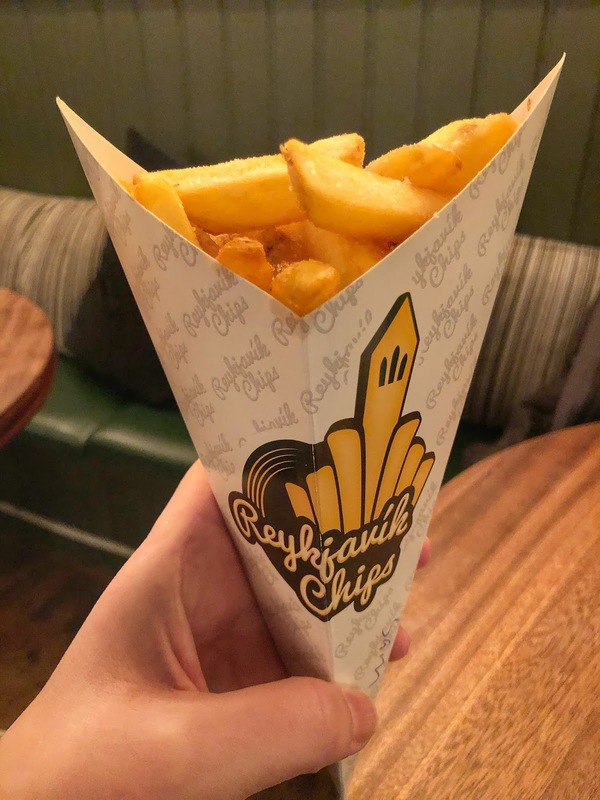 You must visit this quirky little chip restaurant when in Reykjavik! They have a whole host of different dips and sauces to choose from including quite a few different vegan friendly varieties. These really warmed us up after lots of walking around in the cold! We would never usually choose to eat somewhere as touristy as the Hard Rock Cafe but it was our first night, we had just arrived and we were cold, tired and hungry! 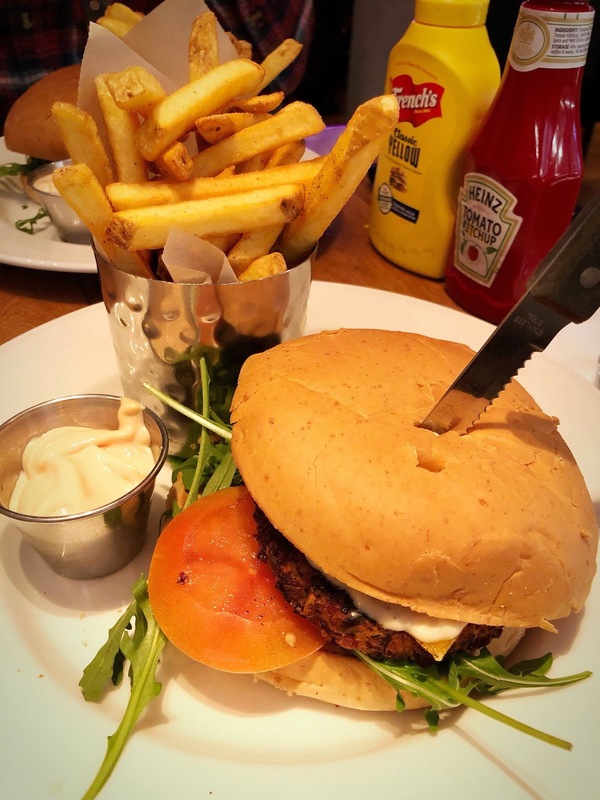 To give credit where credit is due they actually had some impressive veggie and vegan options including this vegan burger and fries. The nachos looked amazing too! 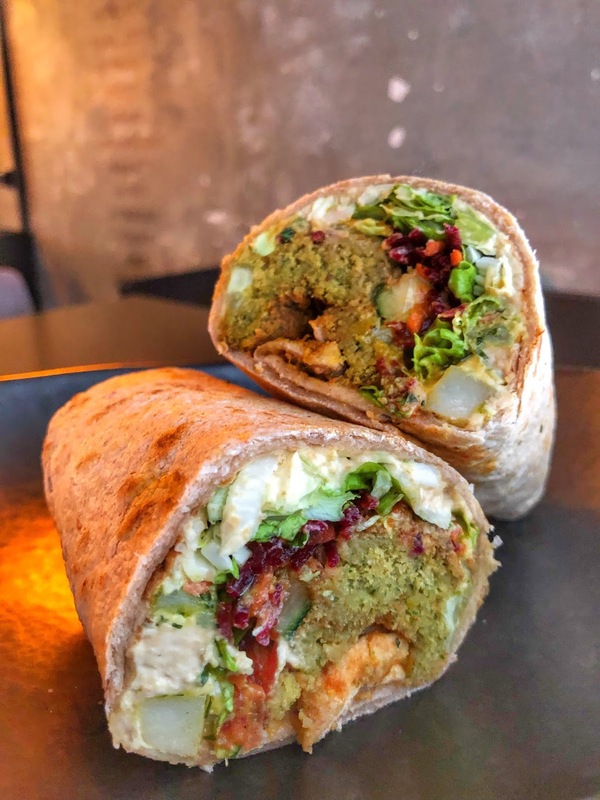 Someone recommend we checked out Lamb and i'm glad we did as their falafel wraps were really delicious. And huge! One place I had heard a lot about and which was on our hit list but sadly we ran out of time to visit was Cafe Vinyl. We'd walked past it a couple of times and it looked very cool so it's well worth checking out if you can. We didn’t eat much outside of the city but most cafes we went into at the main tourist spots seemed to have veggie options and if all else fails nearly all of them sold chips! Hell yes. 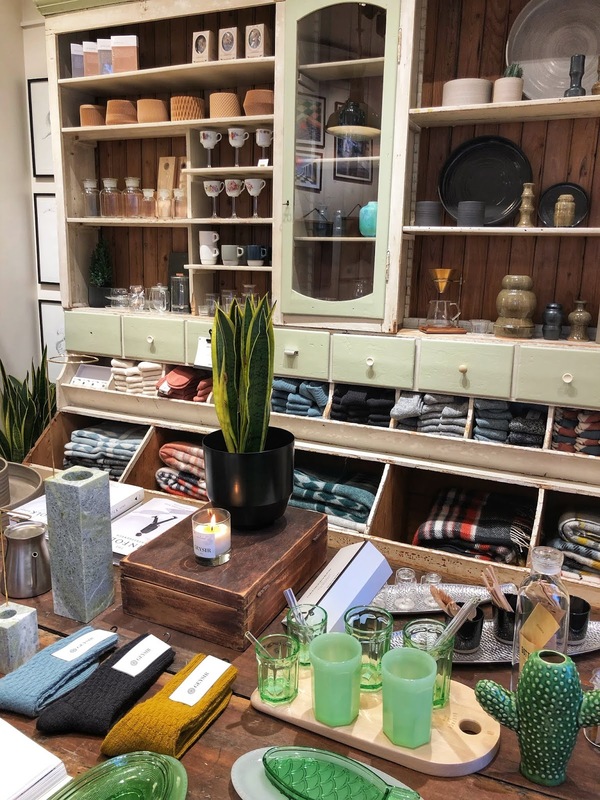 I found myself pretty amazed by some of the prices, particularly when looking at homewares and clothing. We didn’t end up buying anything to take home with us because of this! We found having a big breakfast kept us fuelled for the majority of the day until dinner time. We also made up toasted sandwiches at breakfast which we then wrapped up in napkins and took out with us on the days where we were going on big road trips. To give you a rough idea of the prices we paid around £18 for a bowl of pasta. So yeah.... save up before you go! Hiring a car would be my top top tip to take from this trip. We experienced so much more by having a car and driving ourselves, I really can't recommend it enough! But if you do hire a car make sure it's a 4x4 because the roads can be tricky during the Winter months and we met people who had hired a regular car and they were struggling. Our Jeep Renegade was perfect in all conditions. Also it's important to remember that whatever you choose to spend on a car you will ultimately save on pricey excursions. 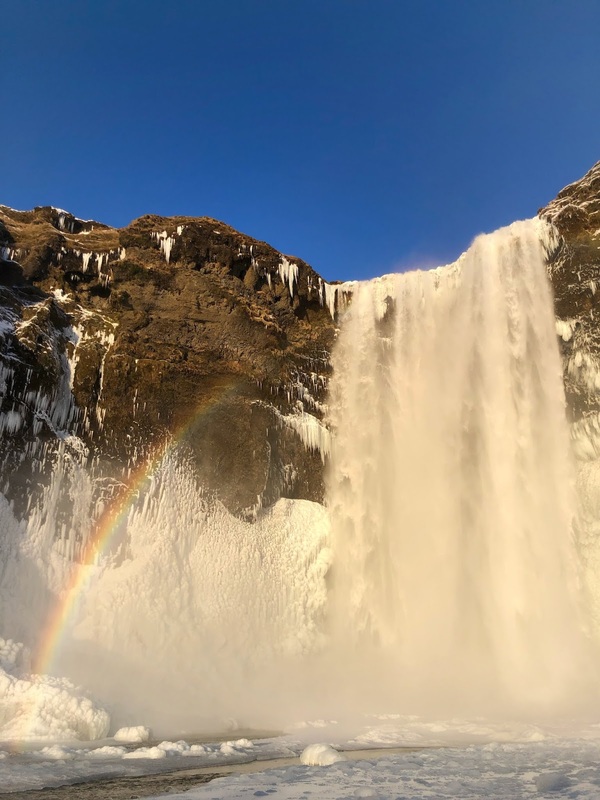 When it comes to booking your Iceland trip you need to first and foremost decide what time of year you want to go because things can be dramatically different. First off, if you want to try to see the Northern Lights then you need to make sure you're going between the end of September and March, with the prime times being between December and January as they are the darkest months. We found the end of January to be perfect conditions with a decent amount of daylight hours during the day to explore other areas (approximately 10:30am - 5pm). 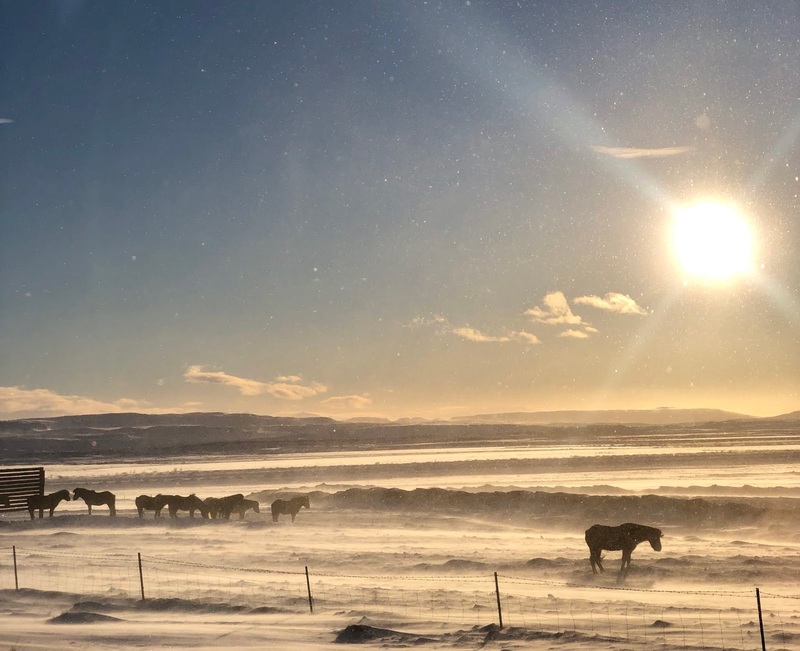 The amount of daylight hours is another thing to think about because during the Summer the nights in Iceland are bright and during the month of June the sun doesn't properly set at all so there's the possibility to experience their midnight sun. In the Winter the daylight hours reduce down significantly where in December the sun doesn't rise until 11am and is setting as early as 3pm. The weather is obviously another significant factor. 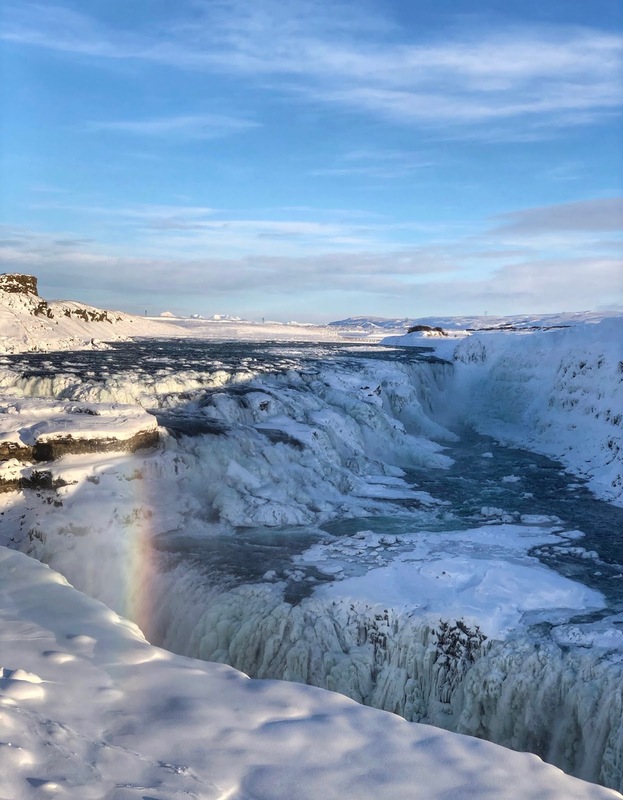 You need to decide if you want to experience snowy and cold Iceland or the warmer and more colourful Iceland. Both have their pro's and con's and i'd suggest doing your research before deciding what's best for you. 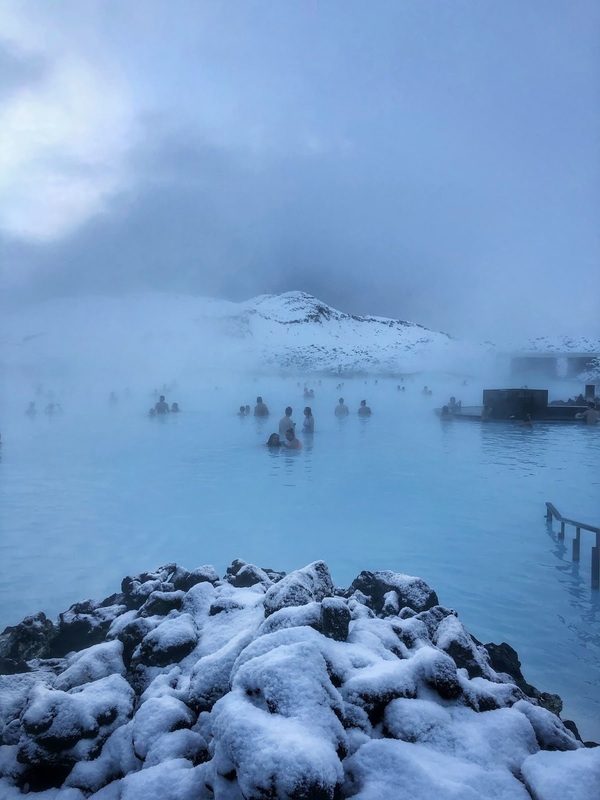 I've only ever been to Iceland during the Winter and I've loved it, but if I was to visit again I would definitely now like to experience the lush green scenery during the warmer months. 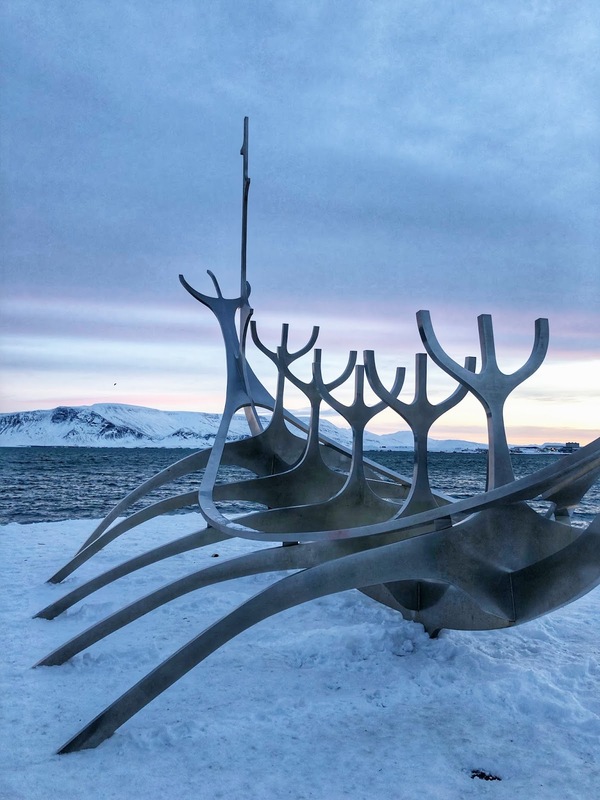 It's really important to plan your itinerary for your stay in Iceland, particularly for your road trips, and you should also take into account the amount of daylight hours that are going to be available to you. I'd recommend booking any excursions or entry tickets (i.e The Blue Lagoon) prior to your arrival to avoid any disappointment. All in all we had an absolutely amazing time in Iceland and even though it was my second time visiting it was more incredible than I remembered. I don't think there's anywhere else quite like it and if you've been thinking about booking it I'd really urge you to just do it. You won't regret it! Be sure to check out my Iceland video if you're interested in seeing more from this trip. I’ve also saved all of my Iceland Instagram stories in the highlights section of my bio. Andy also made a video if you’d like to see things from his angle too! 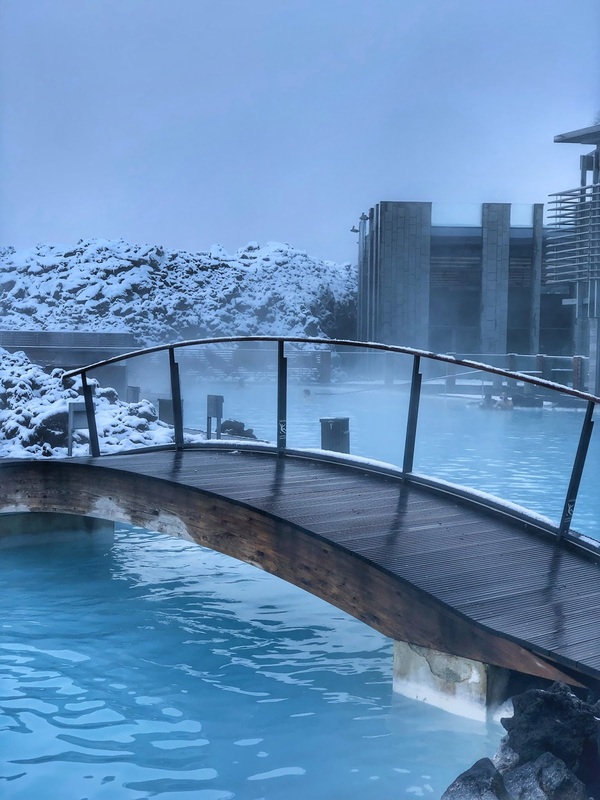 Is Iceland on your travel bucket list!?? I know what you mean about Iceland, I'm desperate to get back especially during the winter to see the northern lights as last time I went it was during the summer which was equally as beautiful, with the landscapes covered in lupines!